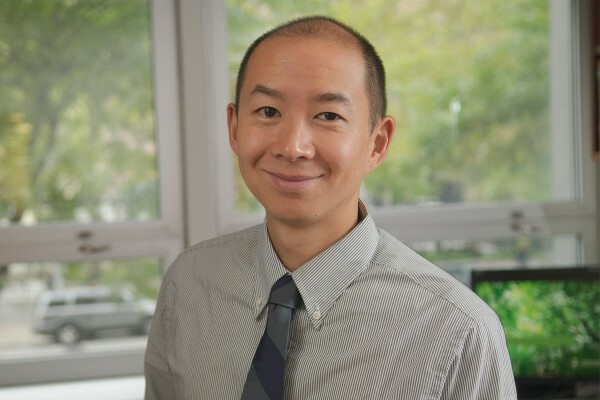 I am a radiation oncologist who specializes in caring for people with lung cancer, esophageal cancer, rectal cancer, pancreatic cancer, and other gastrointestinal cancers at MSK in Manhattan. I have particular expertise in advanced radiation therapy techniques, such as stereotactic body radiation therapy (SBRT) and brachytherapy. I have ten years of experience. I am the director of MSK’s radiation oncology residency training program, and my passion for education also extends to my patients. My goal is to be sure my patients understand why radiation therapy is recommended for them and what the benefits and risks may be. When patients come for their first appointment with me, many are concerned about side effects of treatment. I reassure them that although some side effects can be difficult, they are almost always manageable through the experience, counseling, and state-of-the-art treatments we offer at MSK. I also emphasize that every member of their care team — including nurses, resident physicians, and office assistants — and I are always available to listen to and address any concerns. We have made many advances in the field of radiation therapy. For lung cancer, liver cancer, and pancreatic cancer, we are expanding the use of SBRT to more patients. This is promising because SBRT is often more effective and less toxic — not to mention more convenient — than standard radiation therapy. We are also using brachytherapy in certain instances. Brachytherapy is a highly specialized type of radiation therapy that can sometimes be used in situations in which standard radiation therapy cannot, such as when a tumor returns despite previous radiation treatment. I am currently leading clinical trials at MSK for brachytherapy in gastrointestinal cancers, particularly rectal cancers. I am also closely involved in several nationwide trials of radiation therapy for lung cancer and gastrointestinal cancers. Outside of work, I enjoy both playing and listening to music, the great outdoors, and rooting for sports teams from my native Seattle, especially with my wife and two boys. My goal is to be sure my patients understand why radiation therapy is recommended for them and what the benefits and risks may be.